Yesterday I was at Hot Plate, waiting to pay for my breakfast with some friends. The credit card machine went on the fritz, delaying the people in line ahead for several minutes. 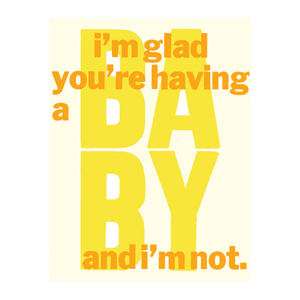 It was appropriate because the night before we’d discussed how she was frustrated by all of her female friends having babies in the last year, and how she’d been rather disconnected from them as a result – particularly her longtime friend Rebekah. Wandering over to the sale items, I noticed a greeting card with a cool image of a horseshoe crab. These are among my favorite animals, as the closet living relatives of trilobites, with compound eyes, blue copper-based blood, and a 455 million year history. 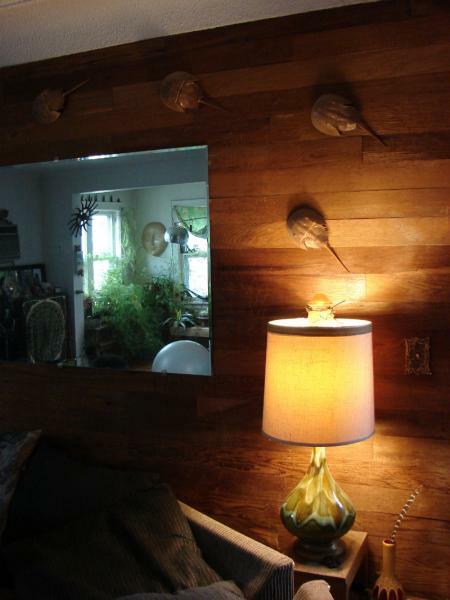 I even have several horseshoe crab shells hanging on my living room wall. So of course I was instantly drawn to the card. 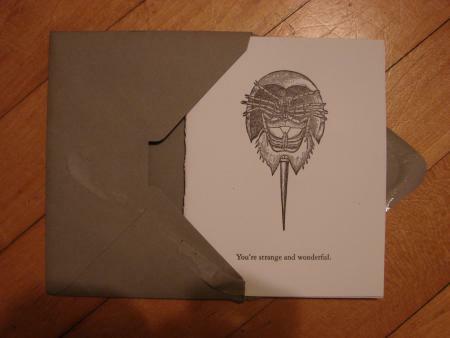 When I pulled it out I saw that the text on the front of the card read “You are strange and wonderful.” As I’ve mentioned on here more than once, “strange and beautiful” is my favorite phrase, and this variant was close enough for me – especially in conjunction with the image of a horseshoe crab! That night, Mark and Jacque were talking in the car on the way to my house , and he brought up how Rebekah (Mark’s girlfriend / baby momma) missed Jacque, and the discussion quickly turned heated and became an argument. When we got to the house, Jacque went home, and Mark came inside to hang out a bit. Shortly before Becky came over (and I gave her the horseshoe crab card from Hot Plate), Mark was surprised by my living room lamp – it turned out that when he was a boy in Missouri, his grandmother had the exact same lamp – same color, same lampshade. Although it was in plain sight in the living room, right beneath my horseshoe crabs, Mark had been over many times without noticing it in the months since I’d first bought it – from the little vintage shop that Hot Plate used to operate in their basement! So – no major coincidences, but a tangle of minor ones: finding a card with an ideal combination of a horseshoe crab and “strange and wonderful” at Hot Plate, because Jacque had found a card about the same issue she would later argue with Mark about, right before he realized I had the same lamp as his grandmother, which I’d bought at Hot Plate and which is directly beneath my horseshoe crabs. But the skeptic lives in shades of gray, while the believer lives in grand Technicolor! It’s the difference between the two realities depicted in Pleasantville. I was at my desk with my notebook ready to do some writing. I’d put in Miles Davis’ album “Kind of Blue” into my player, but was interrupted by a phone call. A friend was calling to say we were going out to eat for my b-day, his treat. No time for the engagement that is that album, I didn’t play it, but got ready to be picked up. Guess what album was playing in his car? Yep, the aforementioned. One evening my brother and I were talking in the kitchen. Our radio was tuned to a rock station. I began to tell my bro about my boyfriend’s dried up plant on his balcony. In the windy Chicago winter it would roll back and forth like tumbleweed. I told him he was the only guy in Chicago with tumbleweed. My brother laughed and right then the song “Tumbling Tumbleweed” began playing on the rock station. Gene Autry, I think. We stared at the radio in amazement. Afterword the station resumed the rock format and I heard no explanation for the song. I still wish I had called the station. Years later I realized that the planter/tumbleweed was a symbol of my relationship; lifeless and aimless.